The Chagos Archipelago is made up of 65 coral islands in the Indian Ocean; it lies midway between Africa and Asia, 500 km south of the Maldives. The entire land area is a mere 56.1 km, with the largest island, Diego Garcia, having an area of 32.5 km2. We are people of African, Indian and Malay ancestry who inhabited the Chagos Islands, specifically Diego Garcia, Peros Banhos and the Salomon island chain, as well as other parts of the Chagos Archipelago situated in the Indian Ocean from the late 18th to the late 20th century. The islands were discovered in the early sixteenth century by the Portuguese. The first successful colony was founded on Diego Garcia in 1793 under the French rule. Slaves were brought from Mozambique and Madagascar to work in the Coconut plantations, which were later established on many of the atolls and isolated islands of the Archipelago. After the abolition of slavery in 1835, laborers were brought from India to work in the coconut plantations. They gradually integrated in the Chagossian society. Many of them intermarried with the inhabitants, thus becoming ancestors to some of today’s Chagossians. In 1814, with the end of the Napoleonic wars, the Chagos along with Mauritius and the Seychelles were ceded to Great Britain through the Paris treaty. The Chagossian people evolved their own distinctive Creole language and their own culture. The population grew, and the outer islands were also settled. 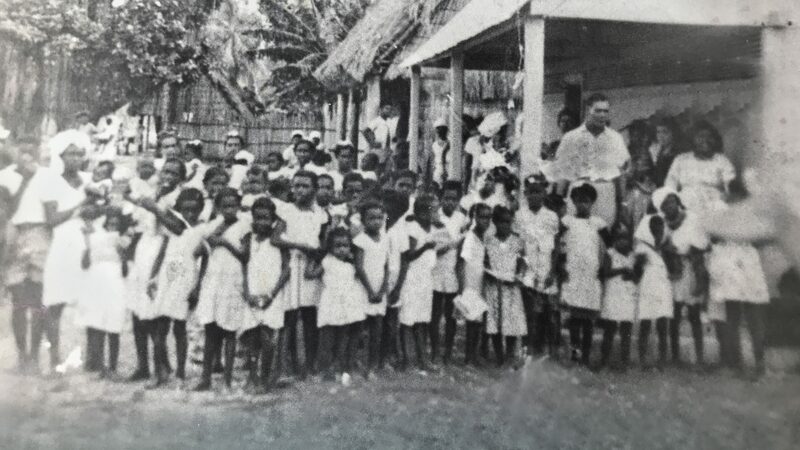 By the mid twentieth century, there were thriving villages, schools, a hospital and above all, a benign, peaceful and undisturbed way of life that the Chagossian’s had enjoyed for generations on the islands. The late 1960’s and early 1970’s, saw an abrupt end to this unique and peaceful way of life. The fate of an entire defenceless population would be sealed by the U.K. and the US with the complicity of Mauritius. Independence was granted to Mauritius, but only after the Chagos islands were illegally separated from the territory by the British government in November 1965, by an order in council and renamed British Indian Ocean Territories. The U.K government, at the request of the United States, began to expel the Chagossian people from their homeland between 1967 and 1973. They went on to build one of the most important US military bases outside of the United States. The Chagossian people were sent to Mauritius and the Seychelles, where they were dumped on the quays without any plan of resettlement or any such help with integrating into those countries. They were often treated as second class citizens, they were left uneducated and resided in slums. The scars of this traumatic experience of living in enforced exile are still visible in our community today. Various legal challenges and judgements resulted in the Chagossians repeatedly being denied the right to return to their islands. Thereafter, the judgements revealed that the Chagossians should never have been sent to Mauritius and as a consequence, all native born Chagossians were granted British nationality in 2002. Although, this right only extended to their children if they were born between two arbitrary dates. Many Chagossians migrated to the U.K at their own expense, to claim their birth right. However, there was no welcome for them, no support and yet again, no plan for integration. As well as paying for transport to the U.K, Chagossians also had to pay for the immigration and permanent residency of close family members, including their own children. This brutal ‘welcome’ has left families divided and penniless, without the skills or resources to integrate well into the U.K.